It’s no secret that teaching English as a second language is a popular way to work from home. Or anywhere, really. But I’m not going to talk about the best places to get a job as an ESL teacher, I already did that here. Instead, I’m going to tell you the main requirements for pulling off this kind of work so you can become a good, no…an awesome, ESL teacher. And you might be surprised to learn that you already have a lot of these qualifications. 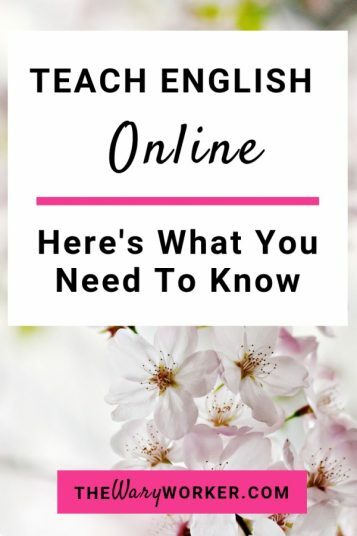 So, if you’re wondering: “What do I need to teach English as a second language ?”, you’ll find this post helpful. Most countries require English teachers have a college degree, so ESL companies have to expect that, too. And because they look for the best-of-the-best English speakers to teach their students, the more education you have, the better for them. Typically, a Bachelor’s degree and prior teaching experience is required as well as an English teaching certificate. Here’s what I mean: Qkids expects you to have a Bachelor’s degree and an English teaching certificate is preferred (TESOL, TEFL, CELTA, ESL). DaDaabc wants you to have a Bachelor’s degree. Not only do you need the degree and experience, you need to be computer literate. Because you’ll be teaching remotely, you’ll be using Skype or FaceTime to communicate with your students. Also, each ESL company has their own teaching platform that you have be comfortable with. Don’t worry, though, they’re easy to navigate. No degree ? No worries ! Get certified. According to the International TEFL Academy, a TEFL certificate is usually required but you don’t need a degree to get paid to teach English abroad (depending on where you teach). Your certification does need to meet certain standards and be internationally accredited, though. You’ll be covering the basics like grammar, speaking, listening, reading, writing and sentence structure. Probably the most basic – and easiest to learn – are the alphabet and numbers. Start off slowly; learning all 26 letters in one lesson can be a bit much. Spread it out. Numbers, just like letters, can be learned in clusters, too. Flash cards really help ! 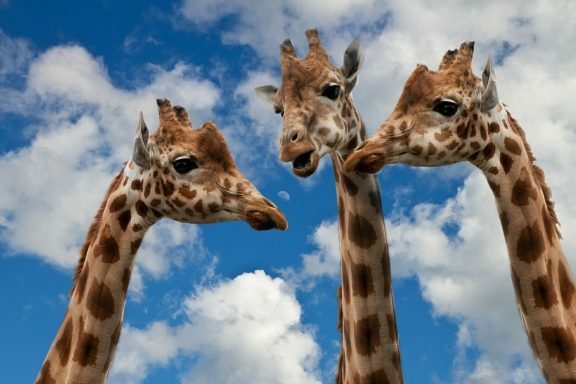 Pronunciation can be easy to teach…or not (see next point). Just like teaching your own child to speak, repetition and correction work in learning a language. There are some English letter sounds or combinations that don’t exist in other languages. Here’s what I mean: According to saundz.com. the letters R and L are difficult for some non-native English speakers to pronounce. The letter combination of TH (as in thing, or thought) doesn’t exist in many Germanic, Romance, and Slavic countries, therefore it is hard to pronounce. So what do you do ? Teach with patience. Believe it or not, inspiration is all around you. TV, movies, stories, music, even a spirited debate are awesome teaching resources. If your students are children, they mimic just about anything they see. If you’re teaching adults, you may have to alter your content a bit to cater more towards their reserved and grown-up personality. But no matter how old your students are, they learn when they are inspired…and having a little bit of fun. It’s no secret that kids pick up a lot from what they see other’s doing (right, moms ?) Take advantage of this and incorporate some of the modern television shows or movies that your students are into. Just be sure to pick age-appropriate content because I’m pretty sure 7 year old’s aren’t into Seinfeld re-runs. Watch a few minutes of the show together and then encourage a discussion of what you just saw. Music works in the same way, as long as you pick a song that isn’t vulgar. You don’t want your student blurting off a string of cusses when their mom asks what they learned, do you ? If you’re teaching English to adults, encourage them to express their opinion and get a spirited debate going. It’s all in fun and a good way to get them talking English. Stories and poems are fun ways to get students to think about their words and use them properly. Create a story and let them finish it. Start a poem and have them write the next line. Because most of the “teach English as a second language” companies have a student body comprised of children, you need to be able to relate well to little ones. You need to have patience, kindness, friendliness, and a fun attitude. And a little silliness doesn’t hurt, either. If you are teaching English to adults, you still need to have all the personality traits that will make your students feel comfortable but maybe ease up on the silliness. A classroom-like setting is fine, with a white board and a desk, but make sure to have a good background, good lighting, and – if teaching children – child-friendly colors and props. A lot of ESL teachers use puppets and letter blocks. Because you are working remotely, you need to be able to communicate with your students via Skype or FaceTime. As far as actually “logging on” and following your lesson plan, most of the ESL companies use their own platform but some are based on Power Point (VIPKID) . internet upload speed should be at least 2mb/s and download speed should be at least 4mb/s. (DaDaAbc requires download speed of 10 mb/s, Magic Ears required both upload and download speeds to be at least 10mb/s). You can visit www.speedtest.net to run a test. What is TPR? Total Physical Response; a method of teaching by using lots of body language to convey what you’re teaching. The idea is to help a student learn faster by associating a physical activity or movement to the lesson. Don’t worry, a lot of the ESL companies will create the lesson plans for you. But if you are working for one of the companies that expect you to make your own lesson plans, like iTalki, a good place to find awesome plans and teaching material is Teachers Pay Teachers. Because the majority of ESL companies are teaching students in China, you should be able to work early morning hours or late evening hours. Basically, China time. Additionally, you may be required to work a certain number of hours each week. Magic Ears, for example, requires you to work at least 5 hours a week. Don’t worry, this is still a flexible job ! This is a very important step to getting accepted by one of the online English teaching companies because it sets you apart from the rest. Remember: you are interacting with students, usually 1:1, so you have to really sell your skills. Qkids wants you to create a 1-2 minute introductory video of yourself, briefly talking about where you live and what teaching experience you have. They also want you to tell, or read, a children’s story so they can see how you communicate with kids. For every online teaching company, you need to create your teaching profile that appeals to students – and more importantly – their parents if teaching children. After all, parents are the ones who will ultimately be selecting the teacher for their child. Are You Ready To Teach English As A Second Language? As you can see, there are a lot of requirements when it comes to teaching English to foreigners. Most of these requirements you probably already have, some you can get. If you have the personality and ability to be an online English teacher, then go for it. It is such a rewarding job ! Next Next post: 8 Non-Phone, Work At Home Jobs Hiring NOW !